Unlike death and taxes, divorce is not inevitable. But it is increasingly common. Prudent families in business, looking to the long term, will want to make plans just in case it happens. 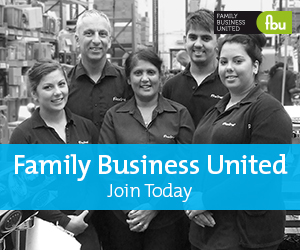 If divorce is a stressful time for families, it's stressful too for family businesses. The impact of court orders can be severe. English divorces start from the principle that wealth should be divided equally between husband and wife. For many directors of family businesses, the company will be one of the biggest assets at stake; and a division of shares, or an extraction of cash, can seriously damage its health. Judges want to preserve companies as going concerns if they can. They know that many businesses will not have liquid assets at the ready. But, in the final analysis, they will ensure that husbands and wives have enough on divorce to meet their financial needs. They will look at whether businesses have assets which can be sold, or borrowed against, to release capital. They can and will transfer shares from one spouse to another. They will analyse, in detail, the income a business generates to see how much maintenance can be paid. The real risk to a company is that shares are transferred to a husband or wife who will expect an ongoing dividend stream, but will have no management function and no interest in the company's long-term future. This is, obviously, a source of huge tension. The difficulties do not stop there. The court process itself is intrusive. Detailed disclosure of the business's financial position will usually be needed, and this may involve commercially sensitive information. For larger businesses, an independent valuation by a forensic accountant may be ordered. The time and trouble of having a business subjected to an accountant's microscope is significant. All this is quite apart from the time lost to the business by husbands and wives, in emotional distress, concentrating on the case. Thankfully, help is at hand from pre-nuptial agreements. Now family wealth can be specified, ring-fenced and protected from divorce claims. A shareholding, or a dividend stream, can be kept separate from other assets and put to one side. It was once thought that pre-nuptial agreements had little weight in an English divorce. They might be one of the factors for a judge to consider, as he tried to get to a fair result; but he was not bound by them, and he could ignore them if he thought it right. All this was swept away in Farrer's case in the Supreme Court, Radmacher v. Granatino, in 2010. To quote from the judgment, English courts will now uphold pre-nuptial agreements which have been "freely entered into … with a full appreciation of [their] implications unless in the circumstances prevailing it would not be fair" to do so. They will respect the free choice of two adults to organise their financial affairs as they wish, and strike their own bargain on marriage. That test leaves some open questions: when, exactly, would it not be fair to uphold these agreements? Here are some rules of thumb. 1.From a formal, contractual, point of view, the court is not required to enforce a pre-nuptial agreement: judges retain their discretion to say "no". But the default position is that an agreement will be upheld. It will be up to the party who wants the agreement to fall away to justify doing so, with good reasons. 2.The agreement must be "freely entered into". So it must be signed without any undue pressure being brought to bear on either party. To avoid any suggestion of this, there should be proper time for negotiation and discussion; and a reasonable delay between signing the agreement and the wedding itself. 3.Each party must have "a full appreciation of the implications of the agreement". So they must understand the rights that it creates or removes. Part of this involves understanding, in broad terms, the financial resources that the other party has. This means there should be broad disclosure of financial information, and the opportunity to ask questions. 4.To ensure that the parties properly understand those implications, each should be separately represented by independent lawyers. Ideally, those lawyers should be specialists in matrimonial law who understand the practice and procedure of divorce claims. 5.The agreement must be "fair in the circumstances of separation". Of course, fairness will be very different from one marriage to another; and can be very different at the beginning of a marriage and at its end. An agreement which will be definitely fair in all circumstances is not easy to craft. 6.In broad terms, the Supreme Court agreed that it might very well be fair to exclude claims against pre-acquired or inherited wealth. So family money can, within reason, be ring-fenced and kept safe. 7.But it will not be fair to leave a party in a “predicament of real need”. An agreement which leaves one party penniless on divorce, and the other rich, will not find favour. In almost all cases, a court will expect a party's needs for housing and income to be met if he or she cannot do so from his own existing resources. Agreements need careful tailoring to ensure that this happens. 8.Whatever the terms of any agreement about the parties' own financial affairs, the court will retain a free hand to make financial orders for children. This obviously includes child maintenance payments, but could also mean a housing fund (where one spouse effectively lends the other money to put a roof over the children’s head until they reach adulthood). Before the young managing director walks down the aisle, he or she should follow these rules of thumb; have a pre-nuptial agreement signed; and then breathe a sigh of relief. A carefully-drafted agreement makes good business sense. About the author - Nicholas Bennett is a senior associate in the family team at Farrer & Co LLP. The team is endorsed by the legal directories as one of London's leading matrimonial practices. Nick specialises in pre-nuptial agreements, particularly involving families in business, landed estates and international wealth.